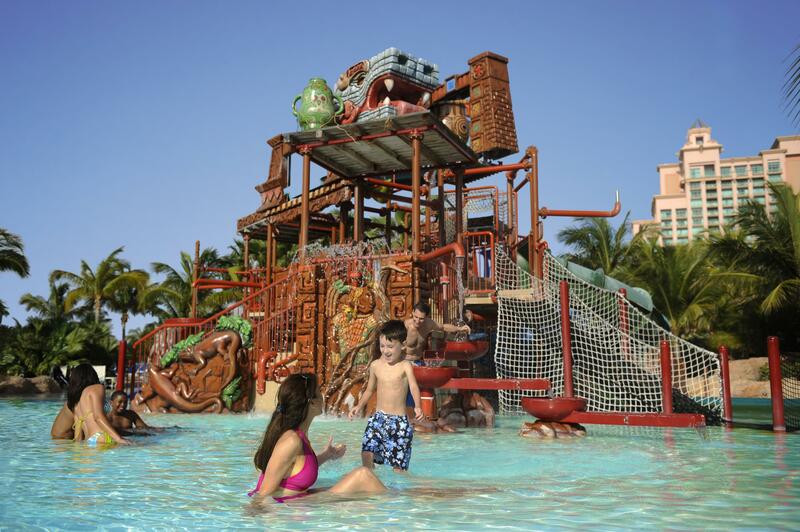 The opportunities for family fun in the Caribbean are almost endless. Jamaica, The Bahamas, Turks & Caicos, the Dominican Republic, and other luscious islands are bustling with lively hotels and resorts that can provide super vacation experiences for you and your family. There are games and entertainment for the kids, peace and relaxation for the parents, and sand and sunshine for all. From mega water resorts to educational activities, these five Caribbean resorts top the list of family fun for everyone. Perhaps the Caribbean’s ultimate playground for families, this high-energy resort is surrounded by the largest open-air marine habitat in the world, encompassing 14 lagoons, eight million gallons of ocean water, and more than 50,000 aquatic animals representing over 250 marine species. 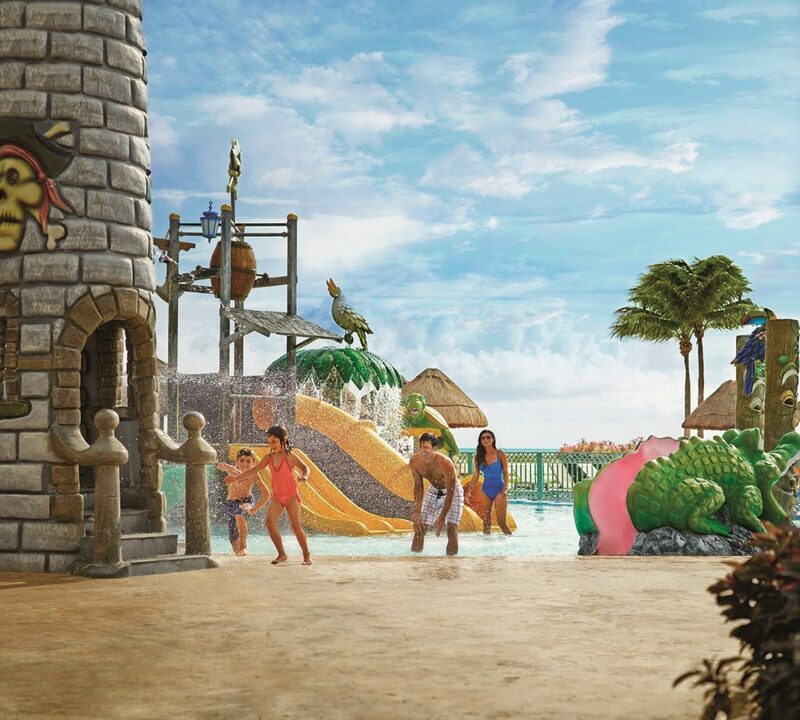 In addition, Aquaventure features over 20 million gallons of water, high-speed water slides, a mile-long river ride with rolling rapids and wave surges, 20 swimming areas, and a spectacular kids water-play fort. Plus, youngsters get up close and personal with the ocean’s gentlest creatures at Dolphin Cay. And, there’s no shortage of adults-only fun, including the on-site, state-of-the-art casino, award-winning Mandara Spa, and Tom Weiskopf-designed Ocean Club Golf Course. Set on Grace Bay’s unspoiled beach, this brilliant resort keeps the action wet at Pirates Island Waterpark, a fantasy world filled with gigantic water slides, kid-friendly pools, swim-up soda bars, water cannons, whirlpools, lazy river journeys, and a surf simulator. After toweling off, kids head to the Xbox 360® Play Lounge for unlimited play with Kinect with Xbox, Xbox 360, and Xbox One, and hang with their favorite Sesame Street® characters like Elmo and Super Grover. Teens find their groove at CRUSH, featuring live DJs and a dance club. If you’re looking for some couples time, indulge in a spa treatment at the Red Lane Spa or enjoy a romantic, private candlelit dinner under the stars. Opening onto a white-sand beach in Punta Cana, this deluxe all-inclusive resort puts junior guests in the center of all the action, beginning every day at breakfast with Nickelodeon characters like SpongeBob SquarePants, Dora the Explorer, Paw Patrol, and “Teenage Mutant Ninja Turtles” heroes-in-a-halfshell Donatello, Leonardo, Michelangelo, and Raphael. 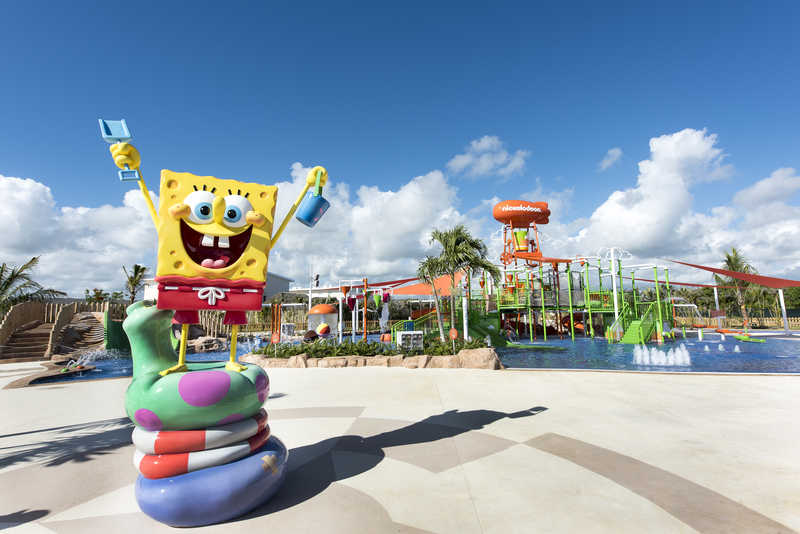 Kids also enjoy selfie-perfect moments, surprise visits, and impromptu comedy shows with their favorite Nickelodeon personalities at Character Central, and dive into winding water slides, splash pads, spray grounds, and a lazy river ride at Aqua Nick. After a day with the kids, dine at the adults-only Kitchen 23 by Le Chique or sip cocktails poolside at the Jazmin Swim-Up Bar & Deck. An all-inclusive oasis in Punta Cana, this rockin’ resort occupies 121 lush acres along one of the Caribbean’s most beautiful beaches and gives kids their own piece of paradise at the Hard Rock Roxity Kids Club™, where endless entertainment awaits with tons of activities, games, crafts, and, of course, music. The Rock Star fantasy continues for junior guests with ultimate VIP treatment at The KIDZ BOP Experience, where they check in to the Pop Star lounge and get the chance to create the coolest band name, learn brand new dance moves, select a red carpet-worthy wardrobe, take their A-List photo, and perform on the big stage. 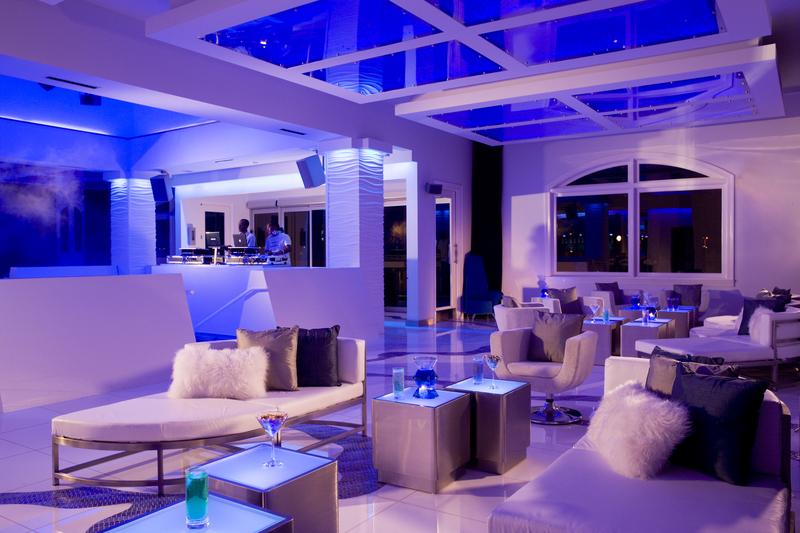 There’s plenty of grown-up fun, including the 45,000 square foot casino, 2-level Oro Nightclub, and signature bars and lounges. Beyond the kayaking, paddle boarding, sailing, swimming, and snorkeling, kids love this all-inclusive Ocho Rios paradise for The Playroom, where they can play for hours in state-of-the-art activity rooms. That means air hockey, a building blocks section, a kitchen play area, complimentary arcade games, indoor ball pit, outdoor water park, Xbox and Wii gaming areas, and karaoke. And the FlowRider® Double Wave Simulator creates two lanes of perfect, endless waves for surfing excitement for all ages and abilities. While the kids play, treat yourself to a massage or take a spin on the dance floor of sleek and sophisticated club Noir. Best of all, from now until December 23, 2019, kids and teens stay, play, and eat free at Palace Resorts. That’s right – a vacation everyone will enjoy, including your wallet. See a resort you’d love to explore with your family? Contact your travel agent to get started.